Offline folders files can be used to keep messages locally on a machine; these messages do not count towards your total mailbox space in your exchange mailbox. 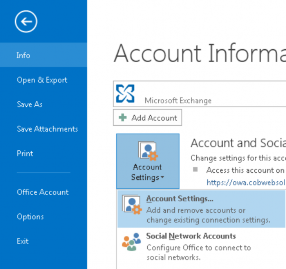 This therefore enables users to manage their mailbox space more efficiently. Please note: Responsibility for the messages after they have been removed from hosted mailboxes is with the client. Click on the Data Files > Add. 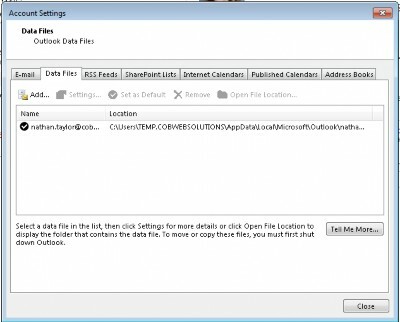 Specify a location for the Offline Folder File and go to OK. 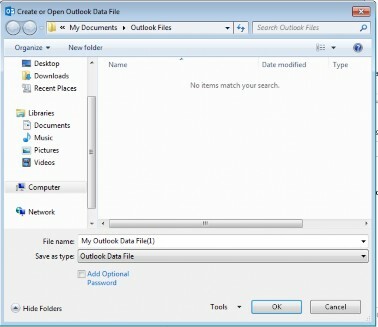 Your PST file has now been created and can be found on the left hand side in Outlook under mail folders.